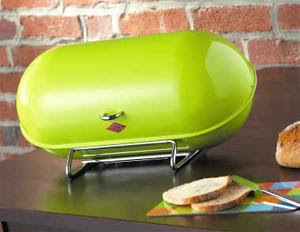 How's that for an eye-catching bread box? 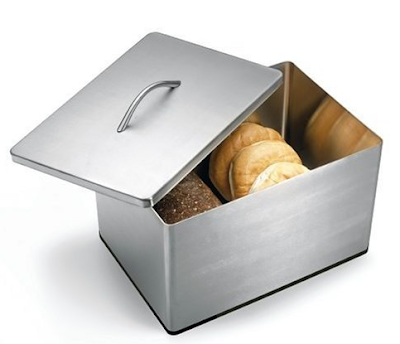 Since I last wrote about bread boxes, I've found more intriguing products to share with you. (And of course, there's nothing that says you would have to use them just for bread!) This one is the Breadman, from Wesco. 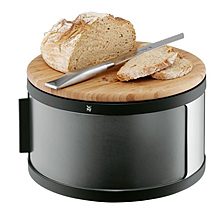 The Bread Drum is a bread box plus a cutting board - and is one of the few products designed for round loaves. 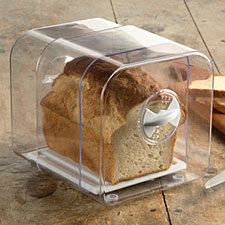 And we return to square with this stainless steel bread canister from Polder. 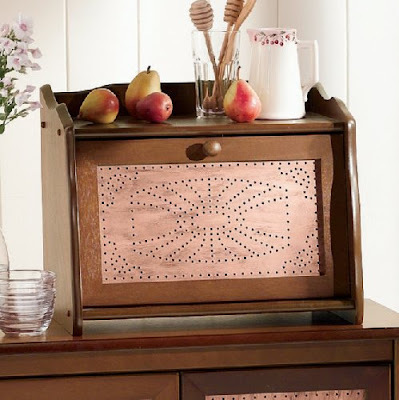 This lovely bread box comes from Joseph Joseph in London. Again, the cover can be used as a cutting board. It's also available from German and Swiss web sites. 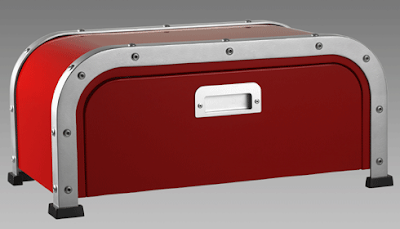 Update on July 9, 2009: Here's a U.S. source for what seems to be the same bread box. For a very different look, here's a punched tin bread box. 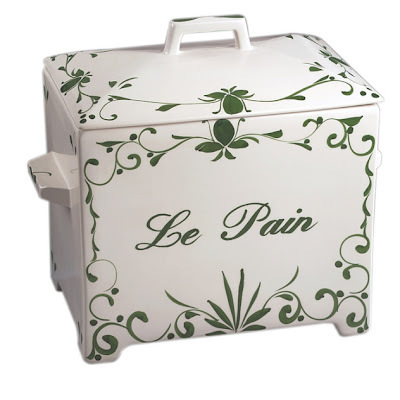 Another option is a ceramic bread box. Update on July 9, 2009: This specific bread box doesn't seem to available any longer. 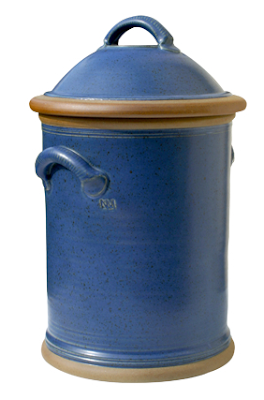 It came from J. Willfred Ceramics; here's another one by the same company. 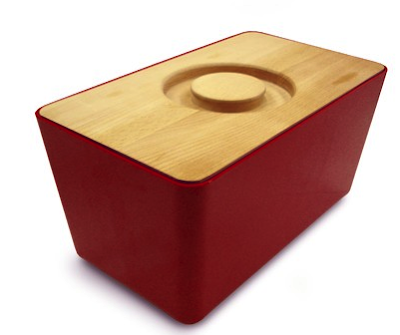 And finally, here's a lovely bread bin from Nick Membery.